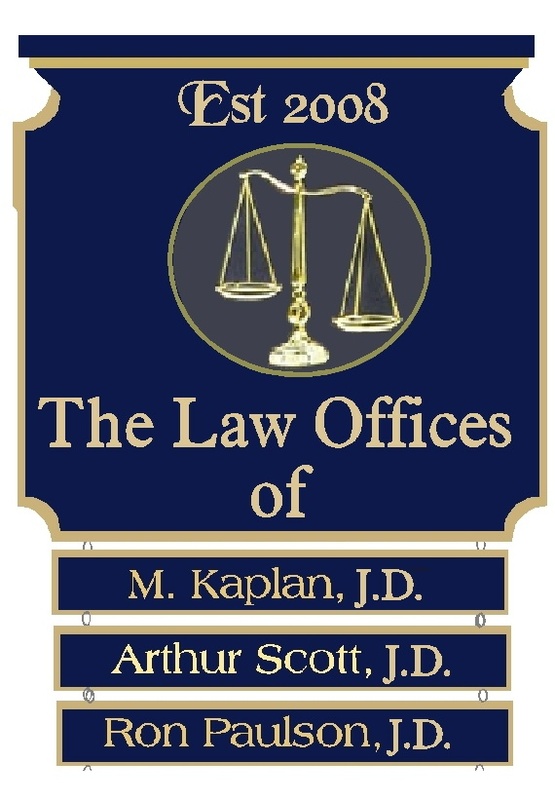 This handsome midnight blue and 24K gold leaf gilded High-Density-Urethane (HDU) law office wall sign has engraved (V-carved) text, art (law office logo) and border and a smooth background. The blue and gold colors indicate an upscale office . The nameplates are engraved smooth-faced HDU., and are readily removable/replaceable using clips in the back.